The developers of Splatoon had a whole lot to say about the Wii U title while speaking with Japanese magazine Nintendo Dream this month. Last week, we shared translated comments from directors Yusuke Amano and Tsubasa Sakaguchi as well as producer Hisashi Nogami in which they discussed the map rotation, content updates, and more. We have a few more final translations to tackle this week. 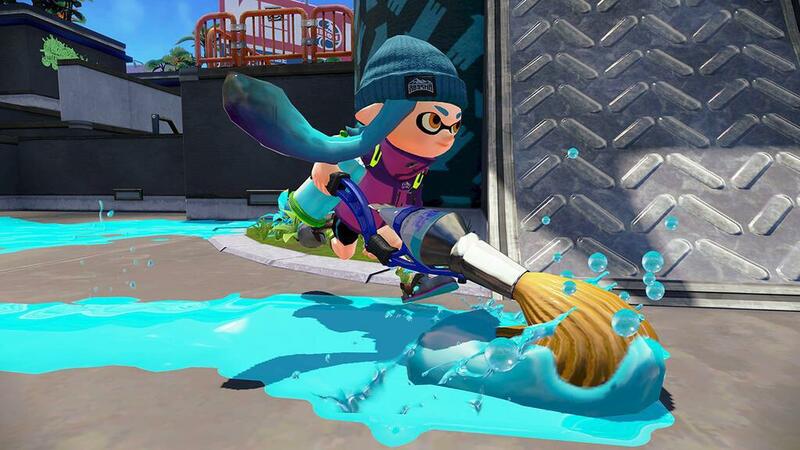 The three Splatoon developers commented on the game’s level cap, Inkling customization, and a couple of other things. Sakaguchi: Er… That is also under investigation currently… We originally expected level 20 to require a nice amount of time to play. ND: “The more character customization, the better” is the usual rule in online games. But you can only customize the eye and skin color of your Inkling. Sakaguchi: Perhaps everyone has forgotten that Inklings are still unknown characters for people. Inklings are newcomers that just came out. ND: Ah, that’s right (laughs). Sakaguchi: I think it’s better to tightly narrow down “it’s this” when presenting a new character to everyone. Nogami: If we suddenly had variation like three hairstyles with braid or bun, people wouldn’t consider them as the same thing [character]. Therefore we limited the customization to the minimum with skin and eye color. Talking about future events, first there’s Splatfest. Please look forward to those.